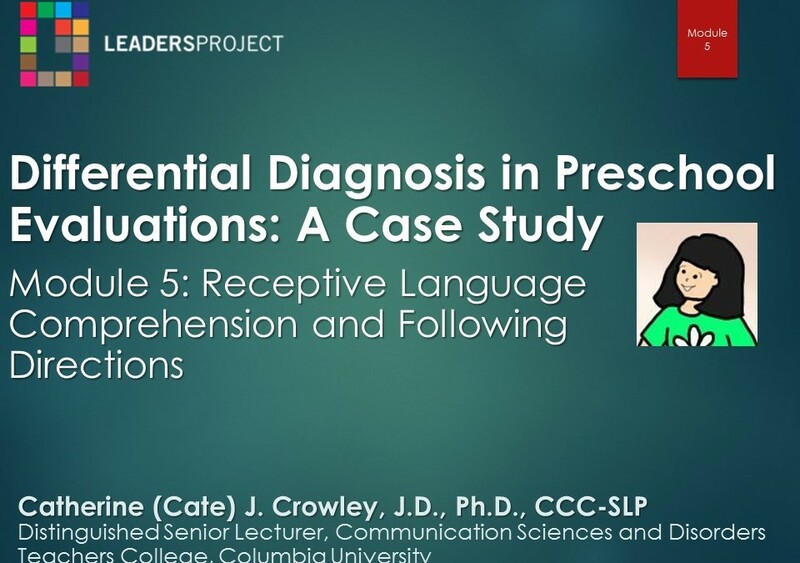 In this video module Cate continues to look at the child’s receptive language skills using excerpts of auditory comprehension subtests from the PLS-5 English and Spanish editions. In this module Cate shows us how to elicit a quality narrative sample in order to assess expressive language. 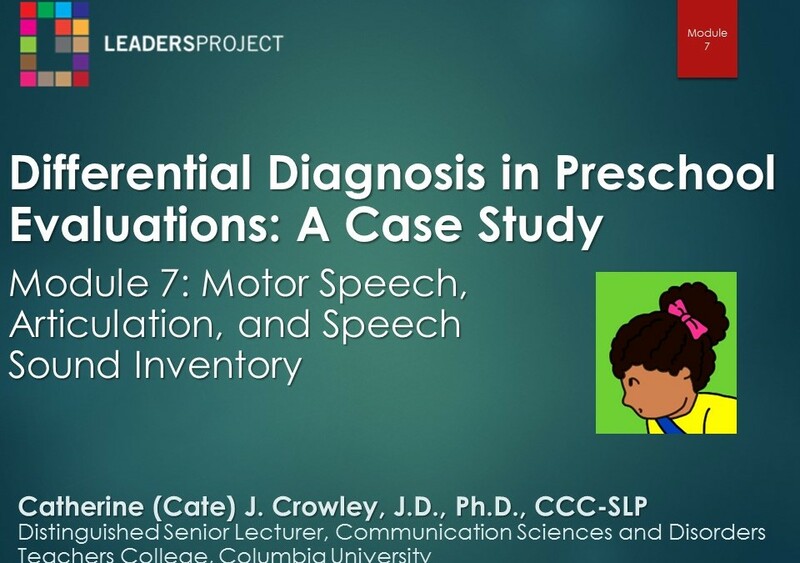 In this module, Cate continues with the evaluation by performing an assessment of Alex’s speech and articulation through the use of an articulation screener from the PLS-5. 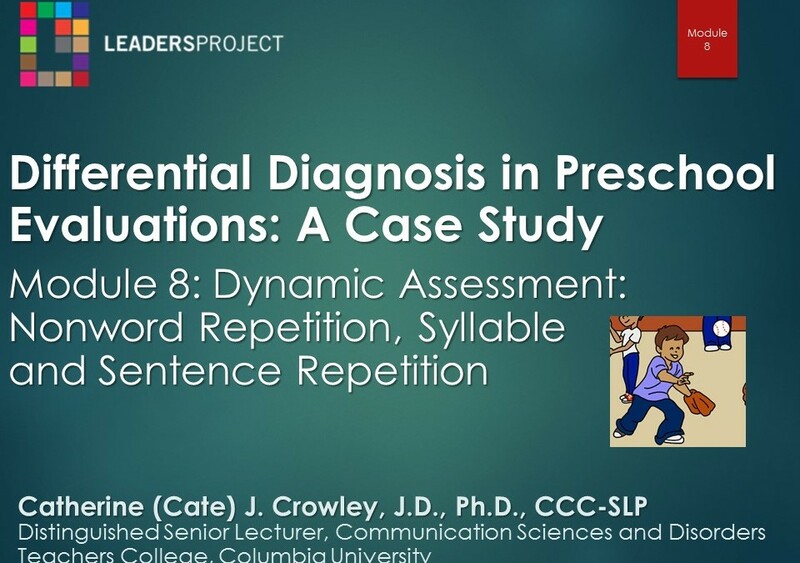 In this module Cate discusses using dynamic assessment using repetition of nonwords, sentences and syllables (Dollaghan & Campbell, 1998) to help confirm Alex’s diagnosis of developmental apraxia. 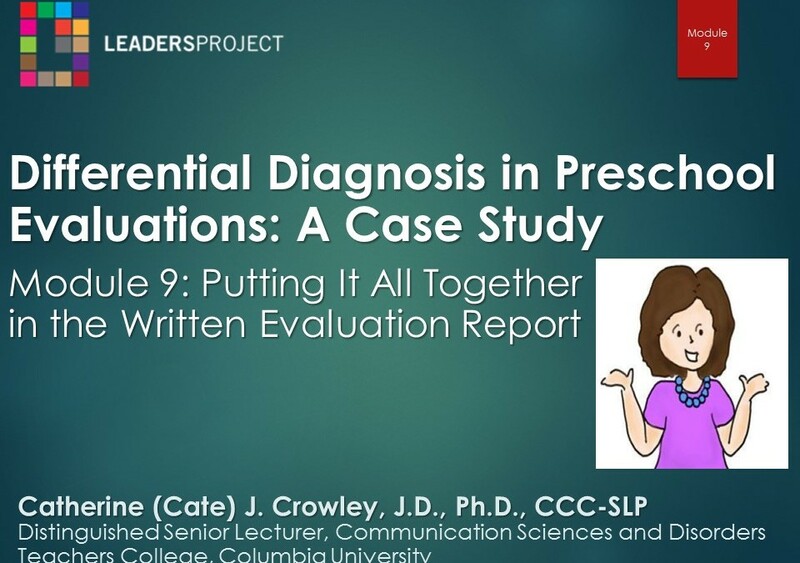 This module reviews how Cate combines all the information gathered during the assessment and puts it together into a diagnosis and final report. 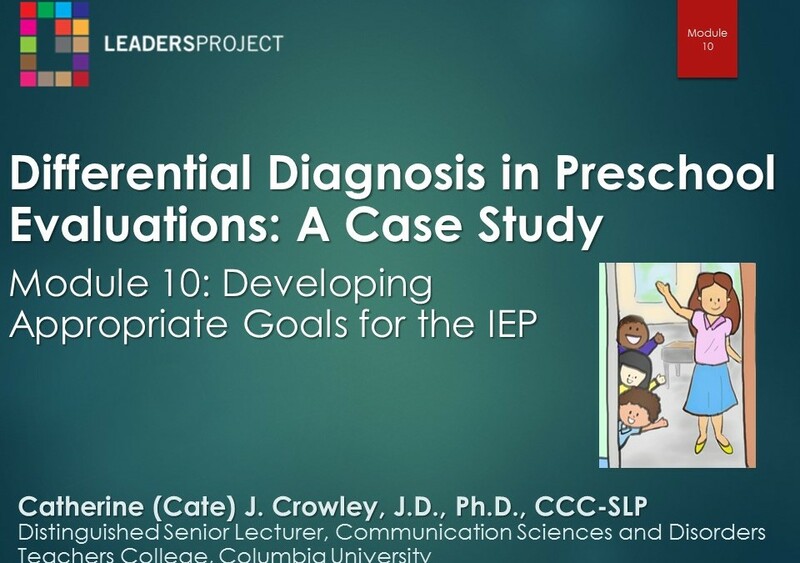 In this module, Cate reviews the conclusions of the evaluation and works to develop goals that will provide the support that Alex really needs. This is a collection of 38 modules from Cate Crowley’s NYCDOE workshop regarding preschool children and accurate disability evaluations. 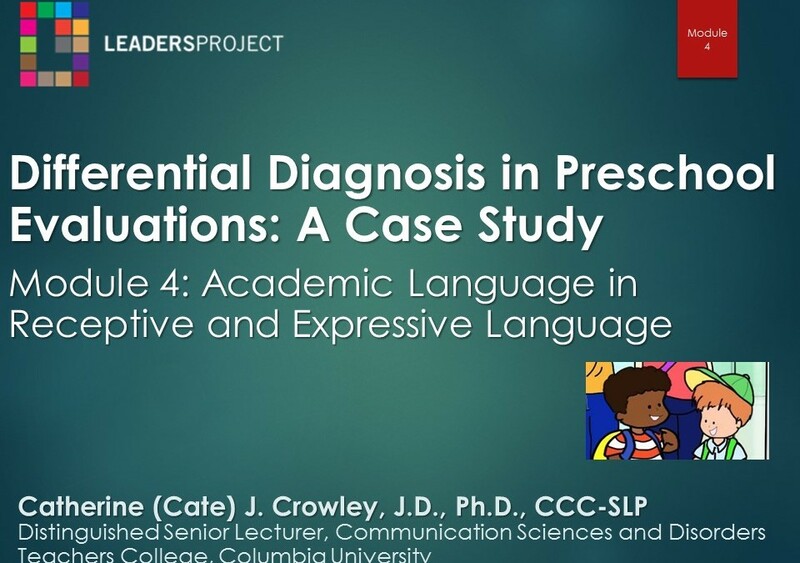 This module introduces the module series on appropriate disability evaluations for culturally and linguistically diverse preschoolers. This module discusses how traditional assessment procedures (i.e. standardized test scores) used for determining disability are problematic. This module reviews what the law says regarding disability evaluations of preschoolers, especially for those preschoolers who are culturally and linguistically diverse. In this module, Cate discusses the consequences of using test scores to determine disability. This module introduces the psychometric characteristics used to judge the validity of assessments that are used in determining disabilities. In this module, Cate discusses the validity of standardized tests and whether they measure what they claim to measure. In this module, Cate discusses the bias found in the WISC-4 Spanish. Using the normal curve, she plots the mean score of 2 groups- Group A: children from low SES backgrounds and Group B: children from high SES backgrounds. This module examines validity issues for psychological tests such as the lack of validity of standardized IQ tests when used with bilingual individuals and English language learners (ELL). In this module, Cate explains two types of reliability (test-retest and inter-examiner) in terms of standardized tests. This module examines the role of standard error of measurement in standardized language and psycho-educational tests. 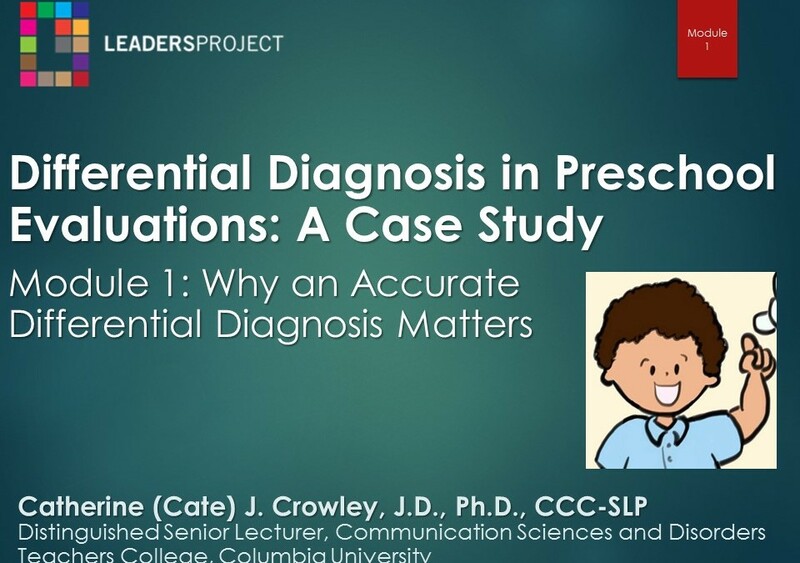 In this module, Cate introduces how to appropriately assess preschoolers for disabilities without the use of test scores. 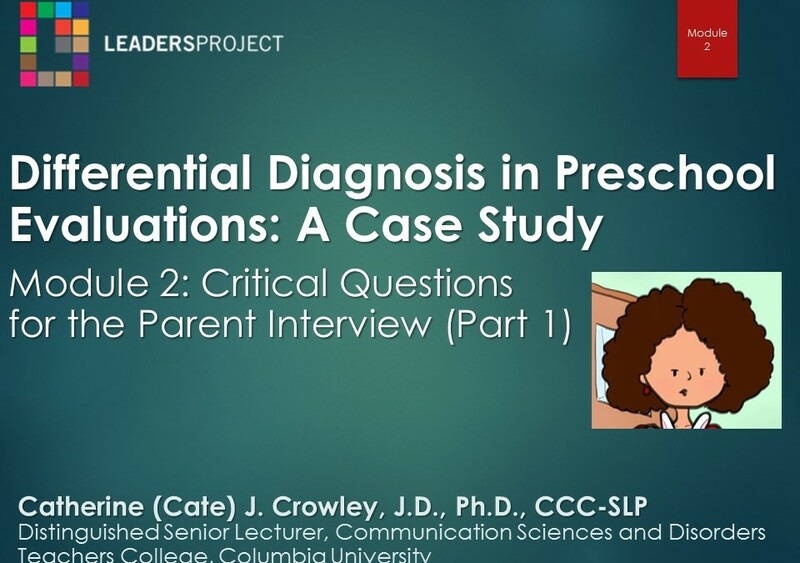 This module discusses how to do preschool evaluations in an accurate and appropriate manner. In this module, Cate discusses the two types of bilinguals: simultaneous and sequential. 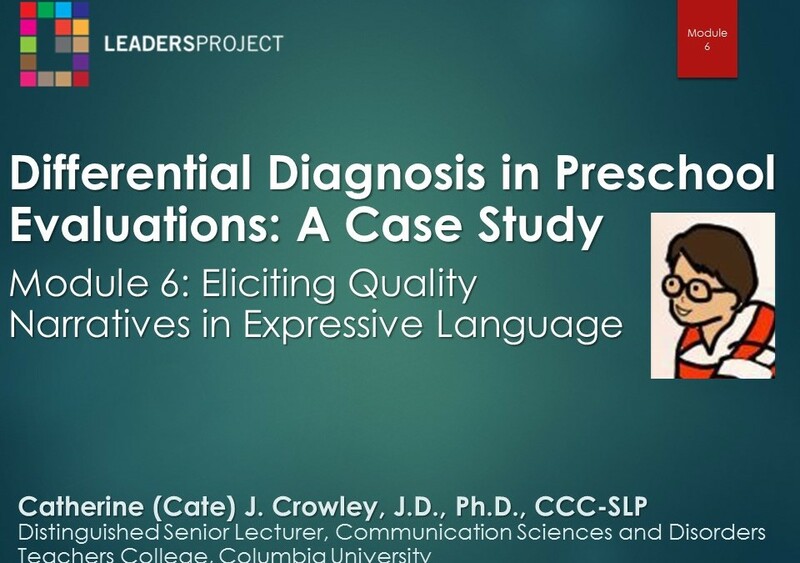 This module investigates factors that influence bilingual language development. 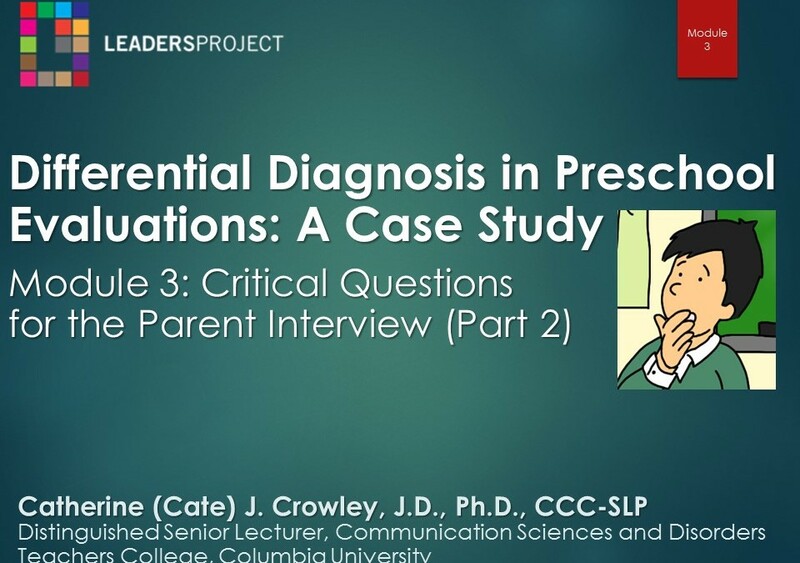 This module discusses how the parent interview is the best tool for identification of language impaired children, not just from middle class families, but also from Spanish speaking families. This module is the first of three presenting the critical questions: nine essential questions that must be asked in every caregiver interview during an evaluation. This module presents the next two of nine critical questions that must be asked during the caregiver interview. This module presents the last three of the nine critical questions. This module discusses the necessary data and information that must be in every evaluation so that the administrator can feel comfortable giving the child an IEP or not. This module sets the standard for a competent evaluation. Cate presents how to incorporate examples from the evaluation and parent interview into holograms in order to produce a quality evaluation. This module analyzes examples of linguistic structure present in Andrea’s narrative about Cinderella. This module applies the critical questions to Andrea’s narrative about Cinderella. This module explains the need to shift the clinical practice from the traditional score driven method of evaluating children for disabilities to one supported by holograms and appropriate assessment. This module explains that the administrator must be able to “see” that the child has a disability, based on the data and examples included in the evaluation. This module explains what dynamic assessment is through an example for viewers. This module demonstrates dynamic assessment using the non-word repetition task with a typically developing child and a low-average performing child. This module demonstrates dynamic assessment using the non-word repetition task with a child with a mild language delay and a child with a moderate to severe delay. In this module, Cate demonstrates one of her tried and true dynamic assessment tools, the Subway Photo from her SLAM Card Series. This module further describes where clinical judgment comes from: Linguistic and cultural informants (e.g. teachers, parents, people from the speech community). This modules explains how to provide quantification for a delay or disorder, if one exists, as it is required by the law. Now that viewers have completed the video module series and learned about the bias and psychometric flaws inherent in standardized tests, Cate asks evaluators to change the clinical practice.